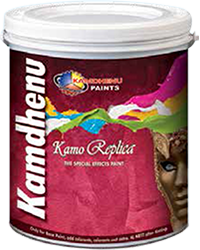 In an effort to give your home a premium designer look we have created Kamo Replica range of water base special effects paint. Kamo Replica range of paints comes in various patterns and design for the premium effect you home deserve. 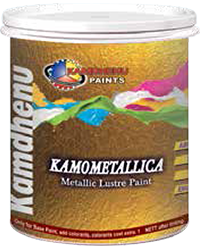 Kamo Metallica is a Pure acrylic emulsion developed to give smooth, elegant and designer look for your home interiors which lasts for ages.